The Kwan Um School of Zen is an international organization of more than a hundred centers and groups founded by Zen Master Seung Sahn, the first Korean Zen Master to live and teach in the West. The School’s purpose is to make this practice of Zen Buddhism available to an increasing number of students throughout the world. The heart of the Kwan Um School of Zen is the daily practice that goes on in its Zen centers and groups, which are spread throughout Europe, America, and Asia. Students and visitors eat together, work together and meditate together, gradually attaining a clear compassionate mind which moment to moment is able to help all beings. We offer training in Zen meditation through practical instruction, daily morning and evening practice, public talks, teaching interviews, sittings, retreats and workshops. Our programs are open to anyone regardless of previous experience and are usually available at minimal cost. The founding teacher of our School was Zen Master Seung Sahn, the 78th Patriarch in his line of transmission in the Chogye order of Korean Buddhism. In 1972 he came to the USA and started the Providence Zen Center, the first center in what is now the Kwan Um School of Zen. He and his students have founded over a hundred temples, centers and groups around the world. Zen Master Seung Sahn gave transmission to Zen Masters and inka (teaching authority) to senior students called Ji Do Poep Sa Nims or Dharma Masters. He died on 30th November 2004, having given Dharma Transmission to about twelve successors, the Zen Masters of the worldwide Kwan Um School of Zen. Zen Master Wu Bong (Jacob Perl) was the first western student of Zen Master Seung Sahn in the USA, as a student, from 1972 . Have received inka and Dharma Transmission from ZM Seung Sahn, he moved to Europe in 1995 with his wife and son, where the Kwan Um School was already thriving in countries such as Spain and Poland. Wu Bong SSN continued to lead and guide the European Kwan Um School of Zen until his sudden death in 2013 in Paris. He had given inka to eight Ji Do Poep Sa Nims, in addition to some students in Europe who had received inka from Zen Master Seung Sahn. Zen Master Wu Bong subsequently gave Dharma Transmission to two of these, Zen Master Bon Shim and Zen Master Ji Kwang. Later, in 2016 Zen Master Jeong Hye received Dharma Transmission from Zen Master Dae Kwang Sunim and in 2017 Zen Master Gu Ja received Dharma Transmission from Zen Master Bon Shim. Three further students received inka. 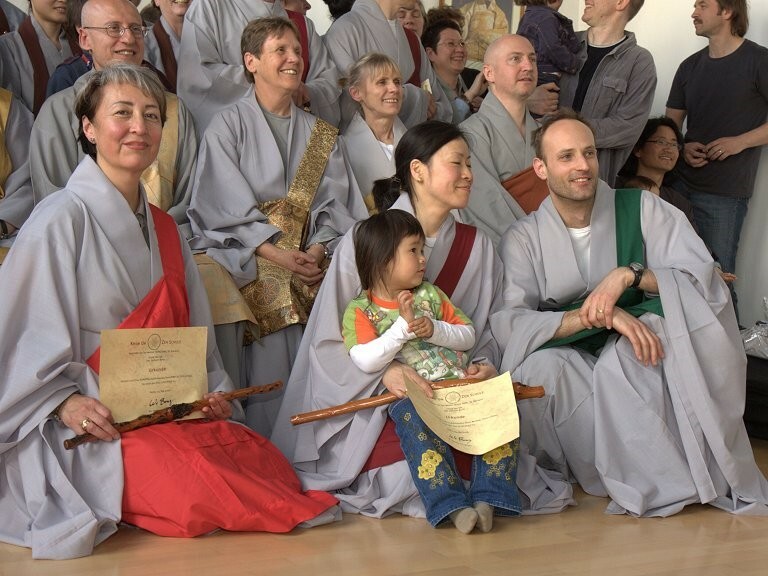 The strong teaching group of the European Kwan Um School of Zen now serves the sangha in all the countries in which the school has appeared in the intervening years: Poland, Germany, the Czech Republic, Slovakia, Austria, Spain, Israel, Great Britain, Belgium, France, Lithuania, Russia, Hungary and Latvia. 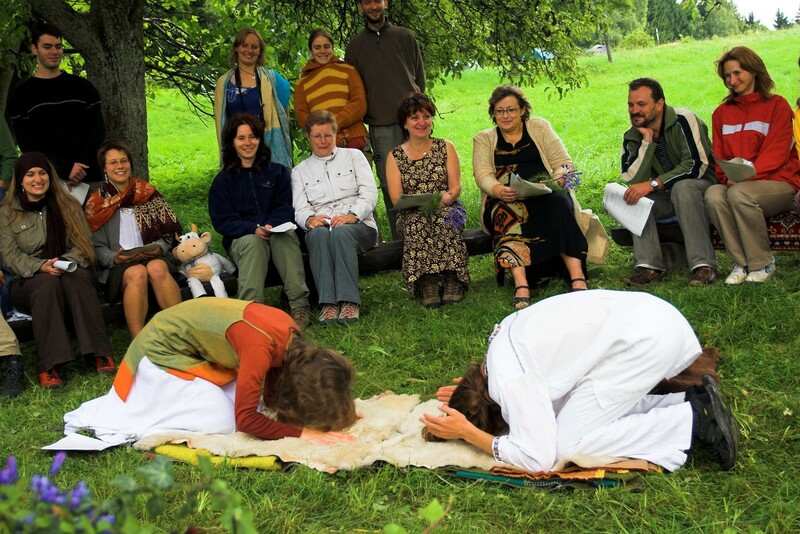 Israel is linked with the European school as many of the students there attend retreats in Europe and their Guiding Teachers have been for many years Zen Master Wu Bong and Zen Master Ji Kwang.